Today I decided to try my hand at a greeting that is a bit more masculine. I saw this technique last winter, and although I tried it, I wasn't as impressed with my results as I could have been, so I chucked them away and gave up on the technique. I am still not totally convinced that I couldn't have done better, but in the end, I am liking the results enough, that I thought I would share. If you want to see a variety of cards using this technique by others here is a Pinterest Link. 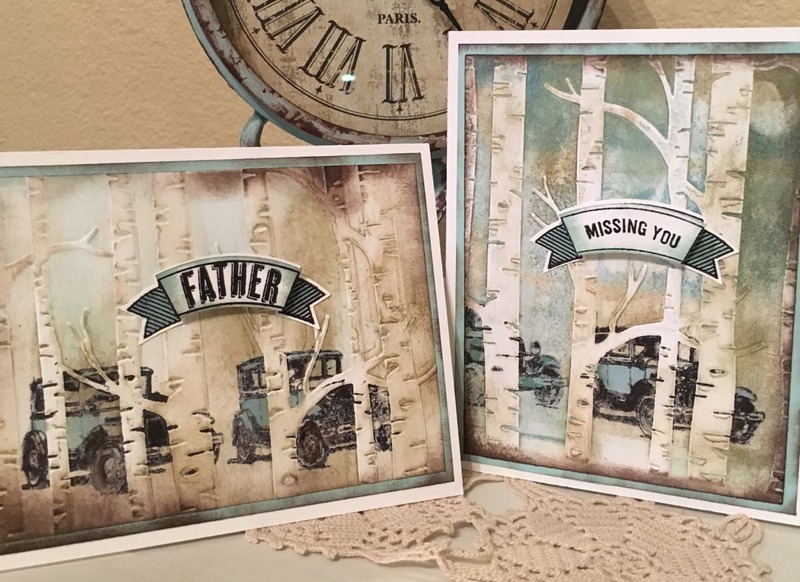 The basics of this technique are to ink directly onto the, "Woodland" textured Impressions Embossing Folder. And after adding the background inking you want, stamp the image directly on the folder as well. 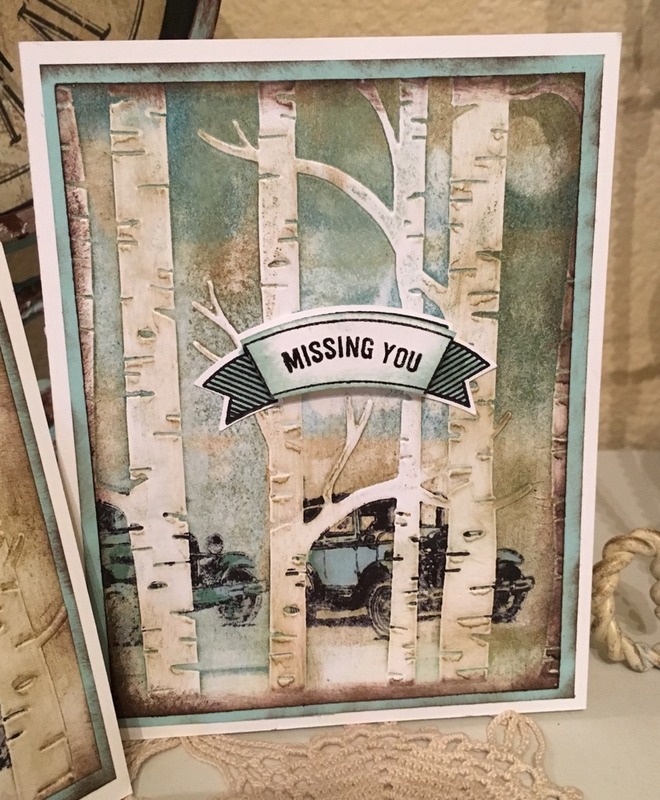 Then, when you run your card stock through the Big Shot, it leaves your image behind the raised impression. I had some difficulty in getting the background inks to not be too dark and as you can see the, the vintage cars did not stamp very clearly. This was frustrating for me, I would have liked finer, more detailed lines, but after I messed around, adding some ink with my watercolor pen, and allowing it to be a bit grungy, I decided the look was pretty cool. 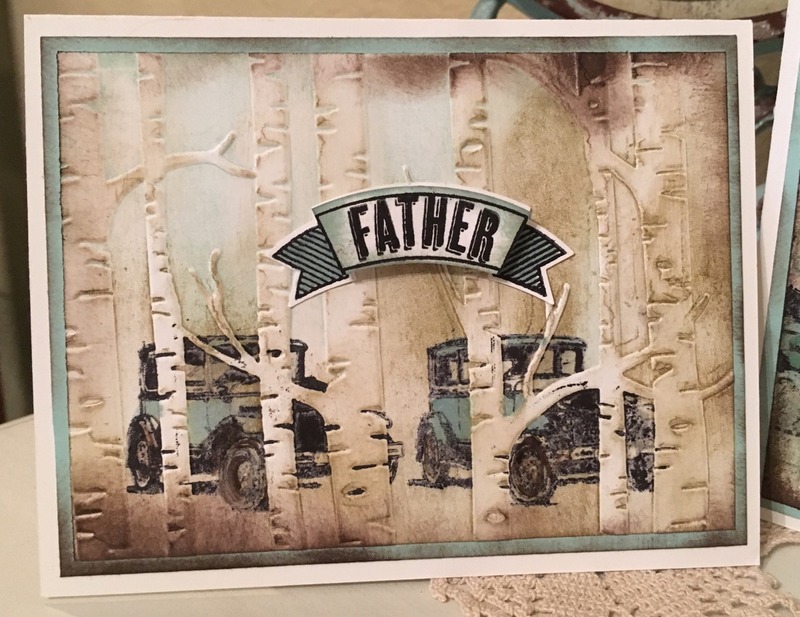 This card will be for my dad for Father's Day. 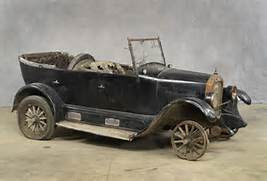 We used to have an old broken down vintage in our garage when I was growing up. Dad was always going to refinish it and get it running again, but sadly it turned into an old rusty pile of metal. I believe Dad gave it to someone else, and I hope they've been able to get it back to it's glory days...or...at least running! 1925 Star Model F5 I'm not sure if this is the correct model, but it is the year and make of my dad's car. His didn't even look this good...so you can imagine! !